There are also differences, however, between Weir Mitchell’s ‘post-cure’ advice to Gilman and the regime John prescribes for his wife. 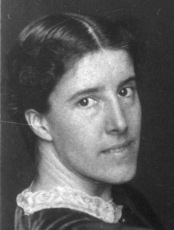 Firstly, Gilman was told to live thus for the rest of her days: her doctor was not prescribing a course of treatment to be suspended after the patient’s cure, but was rather commenting on how she – and, by implication, every other intelligent woman in the civilised world – should live her life if she wished to remain healthy and sane. Secondly, Gilman’s ‘domestic’ life should, according to Weir Mitchell, include her having her child beside her at all times, whereas the narrator in The Yellow Wall-Paper is separated from her baby. This is partly a narrative convenience: the constant involvement of an infant child in the story would quickly become a distraction from its main themes. However, there are other reasons behind this particular change that are worth pursuing in more detail.